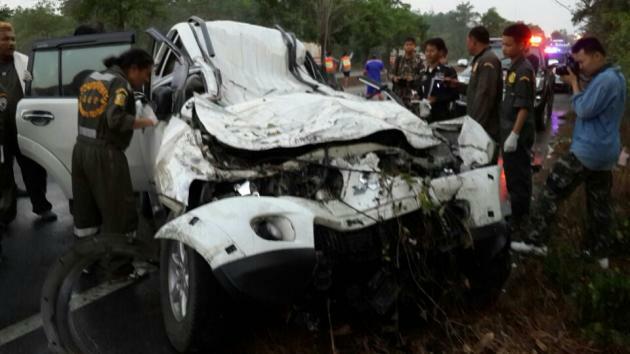 THAILAND - A total of six people and an elephant were killed yesterday when a Pajero crashed into three wild elephants crossing Ban Beung-Klaeng Road at 4am yesterday in Rayong's Wang Chan district. One of the victims was identified as Singaporean Jonathan Bowen Lim. 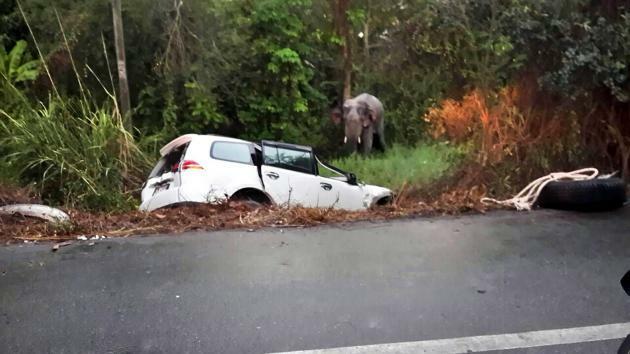 Three elephants were injured but a male later succumbed to injuries. 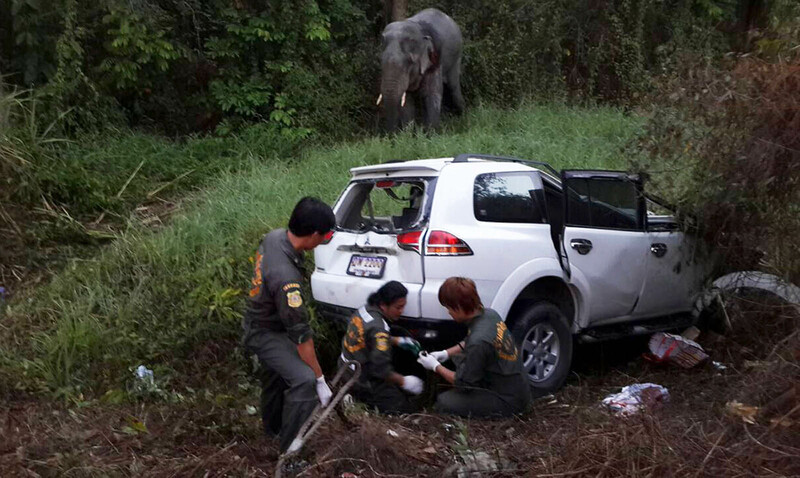 The Pajero carrying four people crashed into the elephants, killing two of its passengers at the scene. While rescue workers were using heavy machines to remove the injured victims from the wrecked vehicle, a six-wheel truck slowed down to watch the rescue and a tailing Toyota Vigo pickup ran into its rear. The pickup truck driver was instantly killed and three others wounded. Two injured passengers from the Pajero and a passenger of the pickup were later pronounced dead in hospital. DNP deputy director general Theerapat Prayurasiddhi said the injured elephants would be sent for medical treatment at Kasetsart University's Kamphaengsaen campus or Khao Khiew Khao Chompu Wildlife Sanctuary. 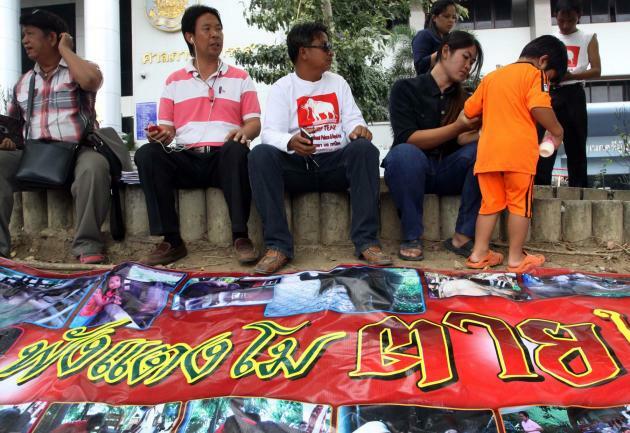 Meanwhile, the owner of a female domesticated elephant that died last year in official care, has filed a lawsuit in the Civil Court for Bt2.5 million in compensation from the state natural resources and wildlife protection agency. The civil court will hold the first hearing of this case on May 19. The elephant named "Tang Mo" was three years and eight months old when it died of unknown causes. Natiwin Amornsin, owner of the young elephant, said his compensation lawsuit was the first of its kind against the Ministry of Natural Resources and Environment and Department of National Parks, Wildlife and Plant Conservation. Tang Mo had been seized by the department in 2012 and died last year. "Her death was unusual," Natiwin said. The department seized the elephant, suspecting it could be classified as a wild elephant. Natiwin was unable to show elephant identification documents for it and the animal was placed in the care of the Thai Elephant Conservation Centre. Officials, however, took no action against Natiwin as they had insufficient evidence to prove his elephant was a wild one. He told them he had bought the elephant for Bt790,000 from local sellers in the northeastern province of Buri Ram in 2010, when Tang Mo was two years old. "I have all documents [needed] to prove that my elephant was domesticated and not a wild elephant," he said. 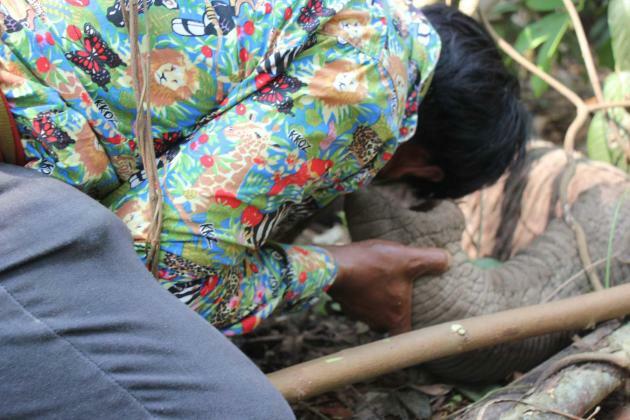 "No one from the department said sorry to me for the death of my elephant," he added. The ministry's permanent secretary Chote Trachu said his agency would pay Natiwin's compensation if the court ordered the ministry to do so. The department's acting director-general, Nipon Chotibal, said according to an internal investigation, no officials were involved in the death of Natiwin's elephant. "No one neglected their duties in taking care of her," he said. Surasit Mutusahim, a member of a committee tasked to resolve the problem, said his committee had instructed the government to pay over Bt2 million (S$78,220) for Natiwin as compensation for the death of his elephant in November last year, but so far there had been no progress with the payment. 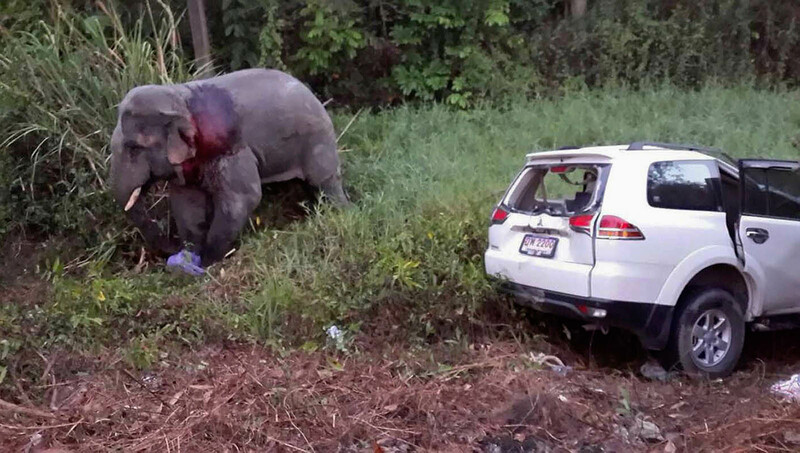 Three elephants were injured but a male later succumbed to injuries. 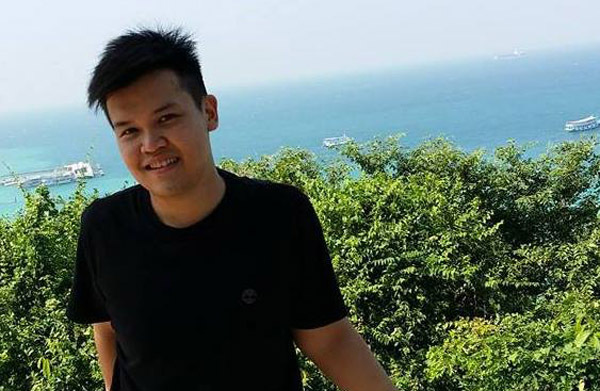 One of the victims was identified as Singaporean Jonathan Bowen Lim. The injured elephants would be sent for medical treatment at Kasetsart University's Kamphaengsaen campus or Khao Khiew Khao Chompu Wildlife Sanctuary. While rescue workers were using heavy machines to remove the injured victims from the wrecked vehicle, a six-wheel truck slowed down to watch the rescue and a tailing Toyota Vigo pickup ran into its rear.